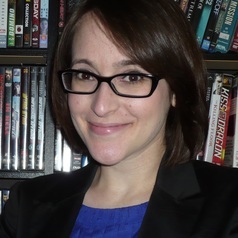 Dr. Lisa Funnell researches the performance and intersection of identities—specifically gender, race, nationality, and ethnicity—in Hollywood blockbusters, Hong Kong martial arts films, and the James Bond franchise. She has published on a range of topics including gender and feminism in James Bond, female heroism in Hollywood, Chinese warrior women, transnational stardom, the “Asianization” of Hollywood, and transnational co-productions (Pan-Chinese, East Asian, Pan-Pacific). She is the author of Warrior Women: Gender, Race, and the Transnational Chinese Action Star (SUNY Press, 2014). In 2015, her book won the Emily Toth Award for Best Single Work in Women's Studies from the Popular Culture Association/American Culture Association (PCA/ACA) and the Bronze Medal in the Women's Issues Category from the Independent Publisher Book Awards (IPPY). She is the editor of For His Eyes Only: The Women of James Bond (Wallflower, 2015), and the co-editor of American and Chinese-Language Cinemas: Examining Cultural Flows (Routledge, 2015) and Transnational Asian Identities in Pan-Pacific Cinemas: The Reel Asian Exchange (Routledge, 2012). She is currently writing a book with Klaus Dodds on The Geographies, Genders, and Geopolitics of James Bond (Palgrave Macmillan, forthcoming 2016).